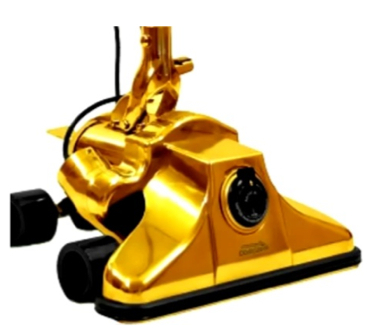 US vacuum manufacturer GoVacuum has produced what the company claims to be the world’s most expensive vacuum cleaner, plated with 24K gold. There is no question this product is not for the masses. Only 100 limited edition models of the golden device are available for the ‘appealing’ price of $1 million per unit. The real question is whether anyone that rich will ever be using these vacuum cleaners, each of which comes with a unique serial number engraving and certificate of authenticity. You can watch the YouTube TV ad below.